Especially during the days when more families had six or eight or 10 kids, the feet of many Buffalo children never knew any shoes other than ones that came from Liberty Shoes. 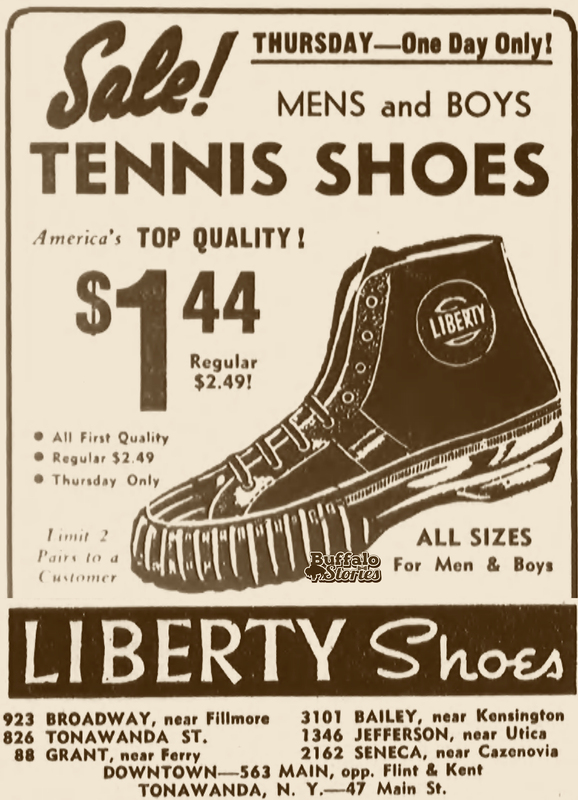 David and Hyman Abrams founded Buffalo’s Liberty Shoe Co. in 1919. David took over as president and treasurer the next year and continued for the next four decades or so. Hubert Holloway told Abrams’ story as a part of his series of Horatio Alger rags-to-riches stories on WBEN Radio in 1957. An ad for "Liberty Specials," as my dad called them, listing Liberty's Buffalo locations in 1946. “He liked selling and people, but the stock-taking and bookkeeping failed to meet his ideas of the romance of business. So his boss told him that he would never make a success of the shoe business. He is David Abrams, president and treasurer of the Liberty Shoe Stores Inc., operating a chain of retail shoe stores in Western New York. 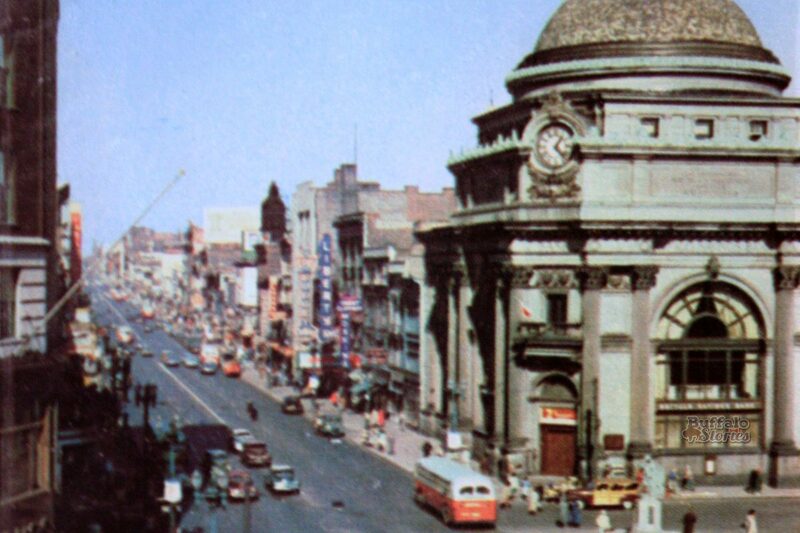 When Liberty opened its 10th Western New York store in 1940, seven of those stores were located around the City of Buffalo, which meant that boys and girls didn’t even have to leave their neighborhood for a pair of “Liberty specials,” although the flagship store was on Main Street just north of Genesee downtown. Offices were at the Broadway/Fillmore location for most of the chain's existence. Liberty made it into the early ’80s before the corporation was bought out by Endicott-Johnson.